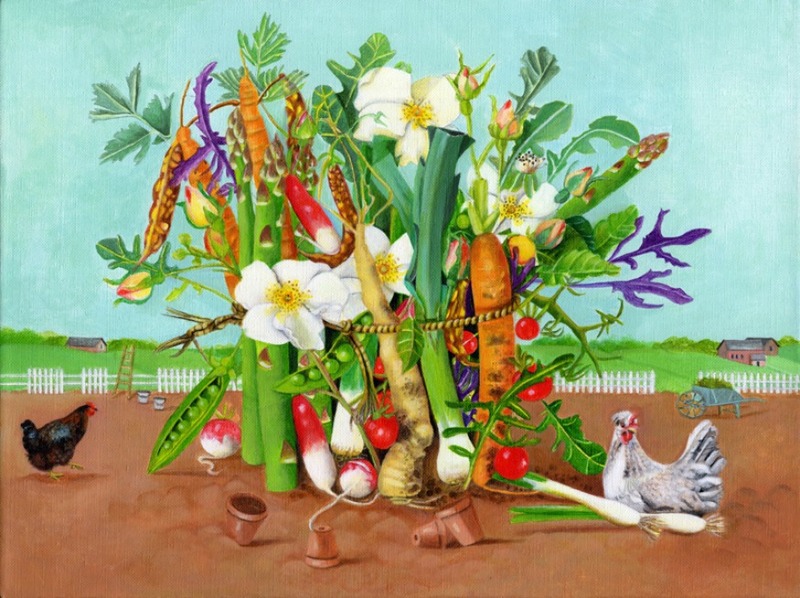 I wanted to make this bunch of vegetables and roses centre-stage in a country landscape. Often what we regard as commonplace needs more attention. By looking, we discover the beauty of each imperfect vegetable, or perfect white rose. The broken picket fence, chickens and terracotta pots, all add to the bucolic atmosphere with the rolling meadows beyond. Each canvas continues around the corners with images linked to the painting. Frames are not required.